Creating an e-commerce business takes careful planning, insight into the customers you don’t have yet, and a determination to succeed. A big part of that is your packaging choices—overextend your budget and your business might not take flight, but spend too little and your business might not fulfill its potential (or its customer orders). On top of that, e-commerce packaging needs aren’t static either, changing over time along with your business. It’s important to know how to plan and choose correctly, so let’s take a look at the packaging needs your e-commerce business will have throughout its life cycle. It starts with an idea—a section of the market being underserved, or a product you know you can provide. You’re getting ready to lift off, so you need to be capable and smart. Showing off comes later. Start with plain and widely-available packaging to manage your costs and keep control of your time. Though fully custom packaging is likely outside your budget right now, you’ll still need to find ways to make that packaging your own. Printed labels with your logo, or a thank you card inside the packaging will absolutely do the trick. As you’re likely handling a smaller order count, you’ll want to tightly manage your packaging supplies. Ordering materials will be less frequent, as warehouse space is probably restricted or at a premium. 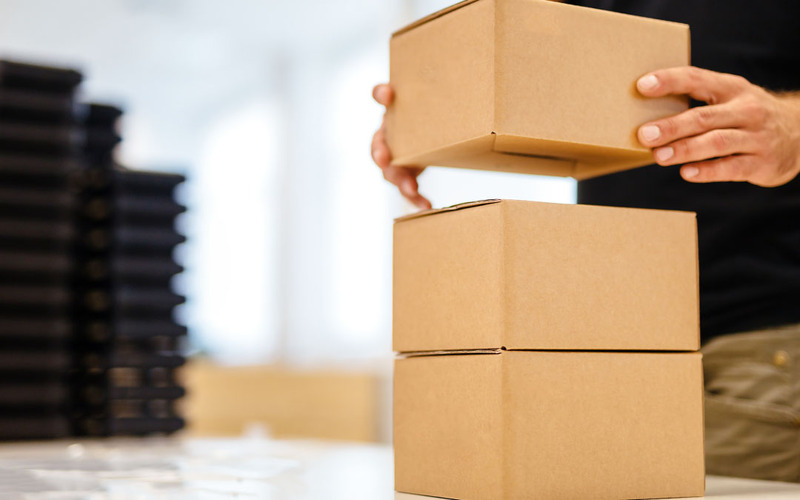 Keeping enough packing on hand to cover your standard orders is important, but you’ll want just enough extra to handle any little sales spikes. You might be small, but they’ll happen. The startup phase is not always a short period of time. But looking back, it tends to be the shortest span of time in the life of your business. Business is booming—so much so that everything’s growing at the same time. You need more packaging, more warehouse space, more people. It’s an exciting, stressful time. You’ll be looking to gain ground on other businesses, and branded packaging is a fantastic way to do it. Unboxing experiences will net you attention on YouTube and social media, but mostly you’ll want your customers to recognize your packaging as it approaches their door. It’s time for bigger packaging orders, since your order counts are increasing and those sales spikes are far more frequent. By now, you’ve learned a ton about what works for you—maybe mailers are saving you money, or maybe e-commerce boxes are proving to be your most popular packaging (justifying the extra cost). With greater warehouse space, you can take advantage of buying in bulk. This will save you money and enable you to add more branded and customized packaging into your business plans. The growth phase is often rapid and expansive. It’s important to be on top of selling trends and e-commerce packaging needs, as this chunk of time in the life of your business will be considerable. You’ve made it. You’re well-known and people prefer you over other online stores. After all that climbing, you’ve reached the mountain’s zenith, and it’s going to take some work to stay there. Here’s where you’ll likely invest deeply in custom packaging, creating a style all your own that people recognize instantly. With extended space for storing all those colourful boxes and stacks of branded tissue paper, your business has never looked better. It’s time for high-volume packaging orders, ones that will sustain you for months. Gone are the days of using a packing table for those few-a-day customer orders, and here are the days of large, open spaces filled with people working towards protecting, packing and shipping out all those wonderful products. The maturity phase is when all the kinks are worked out. With growth continuing and e-commerce packaging needs managed, this is the height of your business and its biggest span of time. You’ve made it. You’re going to keep making it. We’re glad to be with you. Every step a business takes needs a plan, and its e-commerce packaging needs to match. We know what it takes to build and grow, and it’s why we’re here. Whether you need 20 kraft boxes, or several thousand of them bursting with colour and emblazoned with your logo, we’re here for you every step along the way. Eager and thrilled to help you grow, we’re The Packaging Company and we’re your e-commerce partner.